ISRO selected it next Chairman from Tamil Nadu. 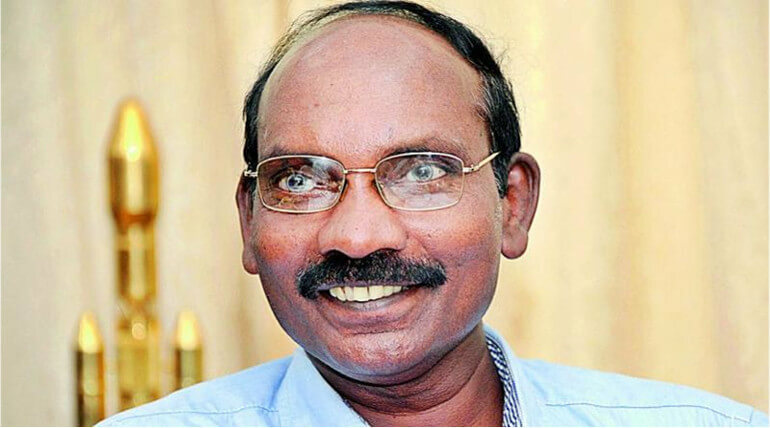 Renowned scientist Mr.K.Sivan has been appointed as new chairman of ISRO by its cabinet on Wednesday. As the three years tenure of Mr. A.S. Kiran Kumar is coming to an end on January 12, now the cabinet of the Indian Space Research Organization has appointed K Sivan from Tamil Nadu as its chairman. He was selected as the secretary for the department of space and the chairman of space commission for the tenure of next three years. According to the bio-data, Sivan was graduated in aeronautical engineering from Madras Institute Of Technology on 1980 and a master degree holder in aerospace engineering from IISc, Bangalore. He also had a P.hd in aerospace engineering from IIT, Bombay. Sivan is one of the well known scientists of ISRO, published numerous Journals on space research and his career was honored with many awards like Shri Hari Om Ashram Prerith Dr. Vikram Sarabhai Research Award, Dr. Biran Roy Space Research Award, Doctor Of Science Award from Sathyabama University, Chennai. Sivan joined ISRO in 1982 for the PSLV project and delivered a biggest contribution to the project. His home town is Vallankumaravilai, a small town near Nagercoil and he was also been the director of ISRO's Liquid Propulsion System Center in 2014. He is also the present director of Vikram Sarabhai Space Organization. After the committee appointed him as the chairman of ISRO, tones of wishes and expectations are built over him by the space scientists and ISRO professionals. To be noted, ISRO's prestigious 100th satellite PSLV-C40 / Cartosat-2 Series count down had begun today morning and it will be launched tomorrow at 9:29 am at Satish Dhawan Space Centre in Sriharikota.